In addition to his BA and MA in history, Brian Trimmer holds a teaching credential through California Lutheran University. He has been a classroom teacher for over fifteen years. 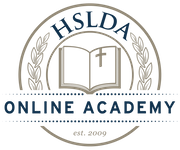 He currently teaches world history and U.S. history at Oaks Christian School in Westlake Village, California, as well as AP® World History: Modern and AP® European History through HSLDA Online Academy. In addition to teaching human society, culture, and development, Brian highlights Christian worldview and God’s continuing hand in shaping the course of human history. Brian has published three history-related articles on Google’s Knol informational website. Two of these articles are chapters straight from his Master’s thesis: Defenders of the West, the History of Naval Airstation Tillamook. He has also achieved expert author status on EzineArticles with eleven feature articles on entrepreneurship and home-based business. He and his wife Heather have begun a successful home-based business. God has given them three children, all of whom are currently homeschooled. Brian has been teaching for the Academy since 2011.